BETT is now over for another year, the hustle and bustle of a busy ExCel Arena are already just a memory as everyone settles back to their normal work routines. Now many will have been expecting my first article “post-show” to have been about the launch of the Teacher App. Well…that is coming soon – but first, the new “multi-platform” access to SIMS. There are lots of links between the story of the App and the story of the platform that I’m going to explore here. For many years now, Schools have been used to the idea of their SIMS Desktop – machines across the School having access to the SIMS system, often in offices across the site. Classroom teachers using either laptops or desktops in their classrooms – giving them the data at their fingertips to support learning. The problem with this is, historically, SIMS access has been limited to the Windows Desktop. Schools have changed – now, a variety of different Operating Systems is commonplace. Apple Macs for one, are now a regular find in a Music or Art/Photography area. Of course, this is before we even contemplate Tablets which come in a variety of options and configurations from iOS to Android, and more recently Windows. 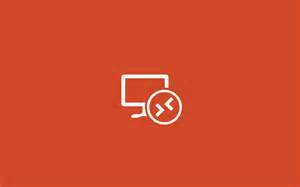 One thing all of these platforms share is the ability to use Remote Desktop and the newer functionality of Remote Apps, where rather than launch to the traditional Windows Desktop, the user sees only specific applications within the Remote Desktop environment. On 21st January 2015, for BETT, Capita announced a major new partnership with Microsoft. The partnership will allow Schools to provide the familiar SIMS experience on any platform. There is another benefit too. 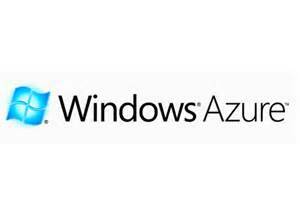 To provide this, Capita will host the entire SIMS installation, using the Microsoft Azure platform. Yes, this takes SIMS into the cloud! It doesn’t just cover SIMS… FMS (the Financial Management System) and Discover (the popular Data Analysis tool) also included. In addition – your partner apps will continue to work as the hosted solution “…integrates with other 3rd party software through […the…] 3rd party connector”. The Azure platform was selected as the host environment as, according to Phil Neal (Managing Director – Capita SIMS) – “…it has been proven to be the most secure, reliable hosting platform across many sectors, and we believe it offers the most affordable solution for […] customers…”. There is something else though, that makes it such an interesting proposition for Schools. At a time where School IT staff are stretched what could be more of a comfort to a School than no more upgrades, maintenance and backups when it comes to the MIS – arguably one of the most critical data repositories? Moving a School MIS from a local environment, with local hardware requirements (and I will return to this point) gives “…freedom from server maintenance, data backup and software upgrades…” explained Phil. Steve Beswick (Director of Education for Microsoft UK) also went on to explain that with the new partnership, Schools and Teachers “…will now benefit from the flexibility of accessing SIMS from wherever and whenever they choose and further puts Microsoft at the heart of Education in the UK”. There’s quite a key point there, one that we have already touched on – freedom of the choice of device. The “whenever” is the game-changer, now Teachers and School Staff can access the full power of the SIMS system and all its components from the Classroom, the playing field, their home or anywhere. The only barrier is a network connection – and this, with the growth of hotspots and mobile broadband, is negated. Commenting on the reliability and security of the hosted platform, Steve explained that “…the Microsoft Azure cloud platform […] underpins the UCAS system as well as Microsoft services used in Schools such as Office 365, Skype and OneNote…” – and there are also reliability guarantees of a minimum uptime of 99.9% during School hours. Another interesting point to take from this is surrounding actual cost benefits. As the SIMS system continues to grow and change, requirements in terms of Server infrastructure and also client requirements increase. Already, Schools are having to plan the migration to the newer more powerful SQL Database platform needed by SIMS; and add to this the change in deployment methods – where the new SOLUS3 is used. All this requires further Database power and client power. Many Schools will have invested in their infrastructures over the past few years before funding cuts started to hit. Now, this equipment will be aging, and reaching the end of warranty periods. Choosing to outsource the MIS provision is one possible way a School could save – as according to Capita and Microsoft “…in many cases, using Hosted SIMS will be cheaper than running and maintaining a School’s own servers”. So, the crunch point – cost. The figures that follow are valid only until April 2015. Above the “base” user counts, per extra login required – £30. Cost breaks may be available on this, but could not be confirmed at the time of writing. Please contact Capita direct. The solution, at present is geared slightly towards the Primary Sector – however, the Secondary pricing is pretty keen too. As if that wasn’t a proposition…how about this? Once your data and a list of users are received (a copy of your nightly database backup for example), the process can take as little as 24 hours. If you view this project with the App Project, you can see that there is a real emphasis on reducing the “complications” of SIMS. We have seen in other parts of the actual product, a move towards making their installation “LiteTouch”. Well, for migrating to Hosted SIMS, it is an overnight change – literally a backup of a School database is taken, and it is online Hosted the next day! Coming next, the continuation of this Cloud SIMS journey – using Apps. For further information, please refer to http://www.capita-sims.co.uk/support-and-services/hosted-sims or contact your Capita SIMS Account Manager. A case study is also available via http://www.capita-sims.co.uk/files/sims/downloads/st_marys_primary_school_-_case_study_-_capita_sims.pdf. This entry was posted in MIS and tagged BETT, Capita, Catherine Lane, Data, Hosted, Microsoft, MIS by Stuart. Bookmark the permalink.